Delta’s Video Scan Converter technology provides you with the capability to convert between video signal formats in order to facilitate a display or recording. 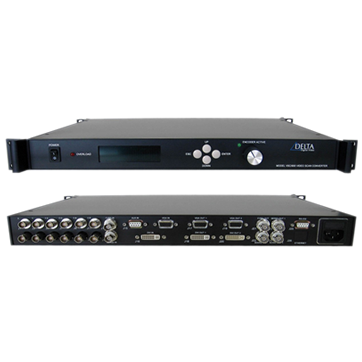 Using an advanced scaling algorithm, multi-tap filtering, and horizontal and vertical interpolation, our video scan converters provide high quality conversion to/from RS-343, RS-170, PAL, HD, and xVGA video formats. OEM modules, rack mount, rugged, or custom packages are available.